NetApp partners with Amazon, while EMC packs its own cloud technologies. Healthcare organizations considering a cloud or hybrid cloud for data storage are getting new options – including one with a household name stamped all over it. Amazon and storage stalwart NetApp joined forces to create new archiving, backup and recovery services. Indeed, NetApp announced an extended partnership with Amazon Web Services and will be at HIMSS15 showcasing its Cloud and FlexPod solutions, while rival EMC will also be on the floor showcasing its hybrid cloud technologies. 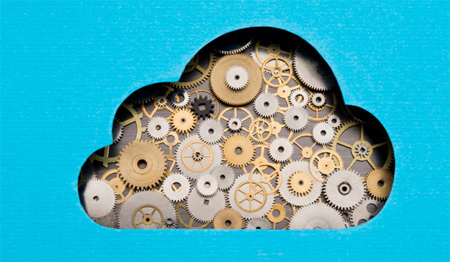 NetApp's recent announcement also touts three new models of its SteelStore cloud-native backup solution as an Amazon Machine Image (AMI). Additionally, NetApp is adding support for Amazon Simple Storage Service (Amazon S3) as a tier to StorageGRID Webscale for long-term archiving. The company has also released updates to its OnCommand Cloud Manager, OnCommand Insight software and Cloud ONTAP software subscription, giving customers new capabilities to speed business innovation and IT responsiveness. NetApp officials said that they believe a hybrid IT architecture, known as “data fabric,” will become the leading IT deployment model for the next decade or more. Customers can also choose on-premises SteelStore physical appliances designed for seamless, secure data protection to the cloud. NetApp rival EMC will also be at HIMSS15, showcasing its storage and hybrid cloud products – with an emphasis on pushing through bottlenecks to improve EHR performance.